Recruitment of able teachers in an educational institution requires proper screening. 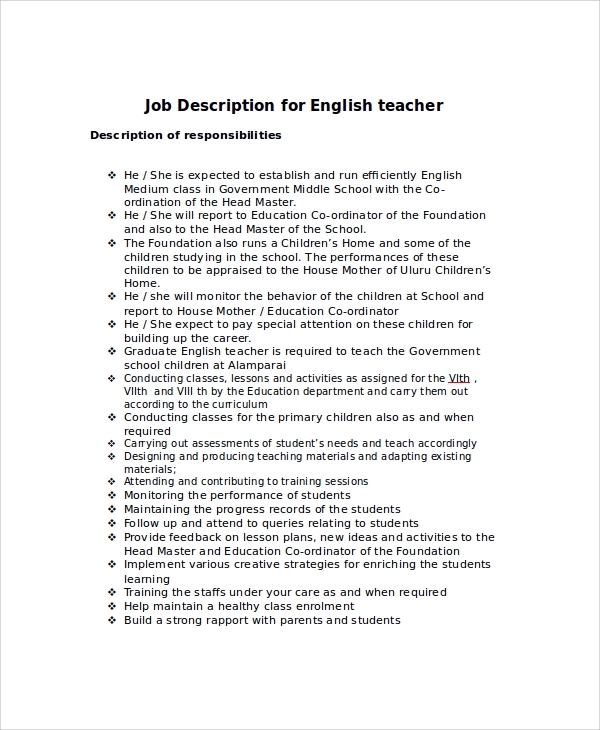 If you are in the HR department of a school, you need to craft a suitable Teacher Job Description to hire professionals. Since different schools run on their unique ethics, you need to recruit the professionals as per their lines. 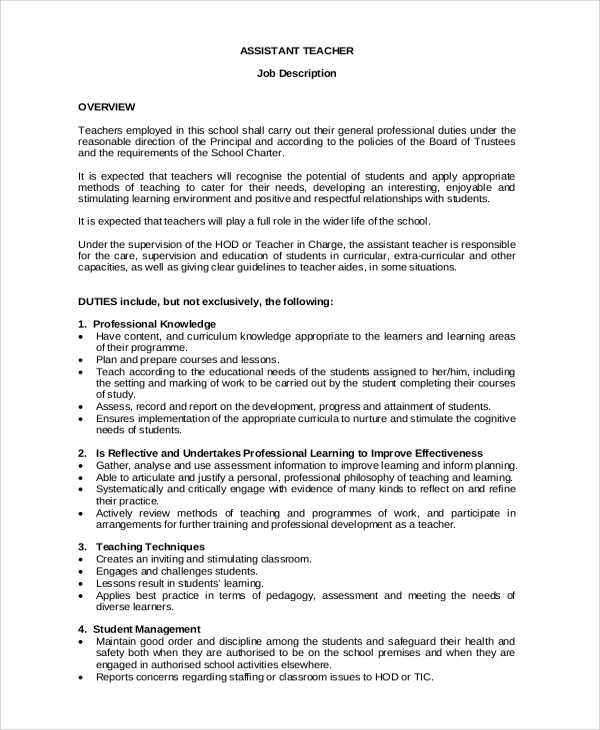 A teacher job description contains all the duties and responsibilities to be performed by the professional. 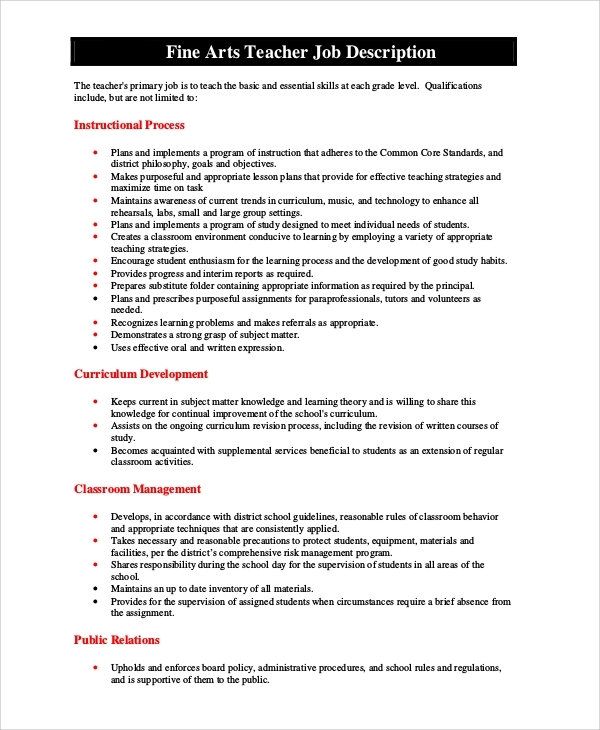 Here are some standard Job Description Samples for you to check out. 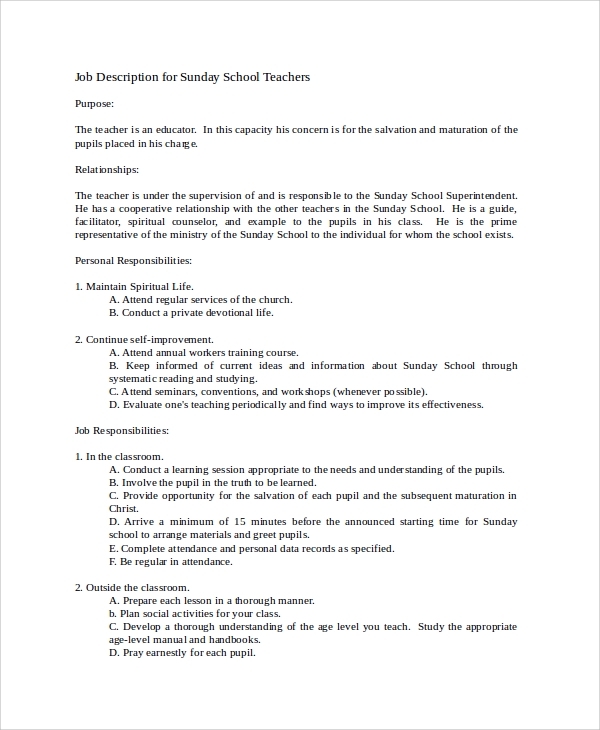 This document starts off with the name of the school and a short profile of the organization. Then the job description is presented, followed by the duties and responsibilities, compensations and a guideline on how to apply. Here the position summary comes at the top. You need to mention the responsibilities in bullet points to make them clear and comprehensive. Then the qualifications and other details are mentioned. 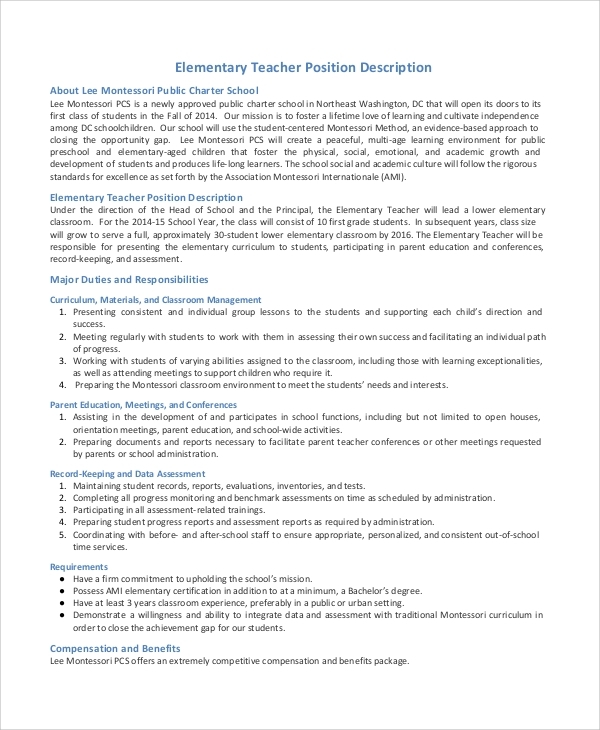 You may also see the Substitute Teacher Job Description. 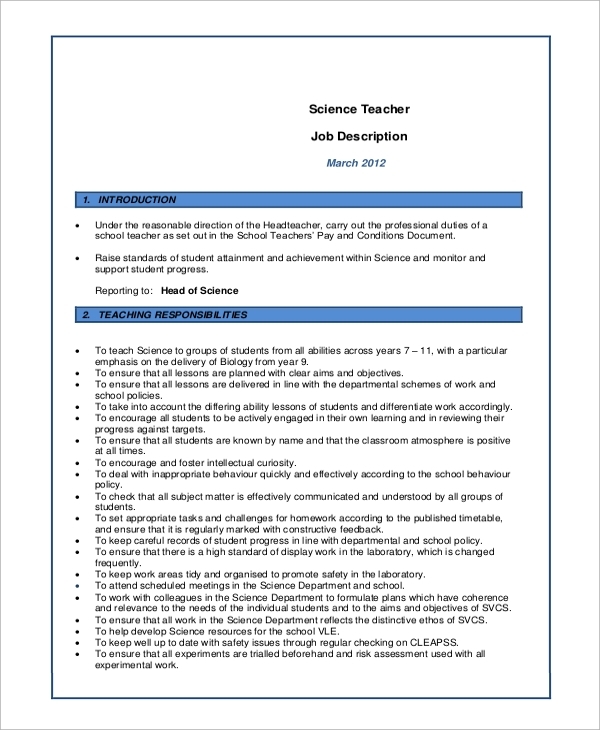 The job description for a substitute teacher has different aspects like title, qualification, and responsibilities listed up under different heads. The terms of payment are mentioned at the end of the document. Why do you need a fitting Teacher Job Description? The purpose of a Job Description is to convey the specific requirement of the school to the teachers who apply for a job there. Hence, the specific requirements for the teachers, like qualifications, certifications, degree and other aspects can be clarified here. When you place this document in an online recruitment portal, teachers with these qualities will appear for an interview, and you will not have to deal with unsuitable people and waste your time. Apart from this, you can also mention specific details like availability, timings, personal care for the children and so on. You also need to convey the mission and vision of the school here. You can start off with a detailed overview of the job, as presented in this format. The qualities, duties, and responsibilities, including professional know how are listed up one after another. 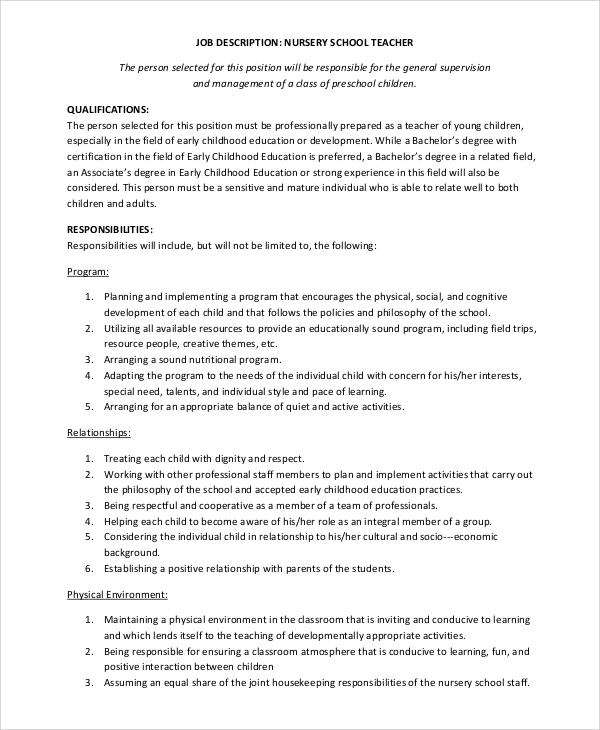 Since a special focus is to be laid on the aptitudes of the child, the job description of a kindergarten school teacher has to revolve around the personal attributes and abilities of the teacher. 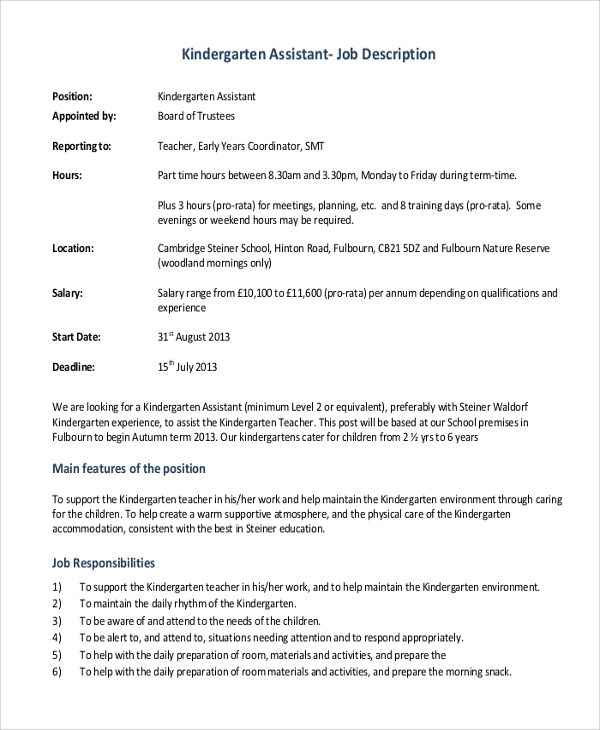 All details like position, school profile and duty hours are specified here. You may also see the Accountant Job Description Samples. 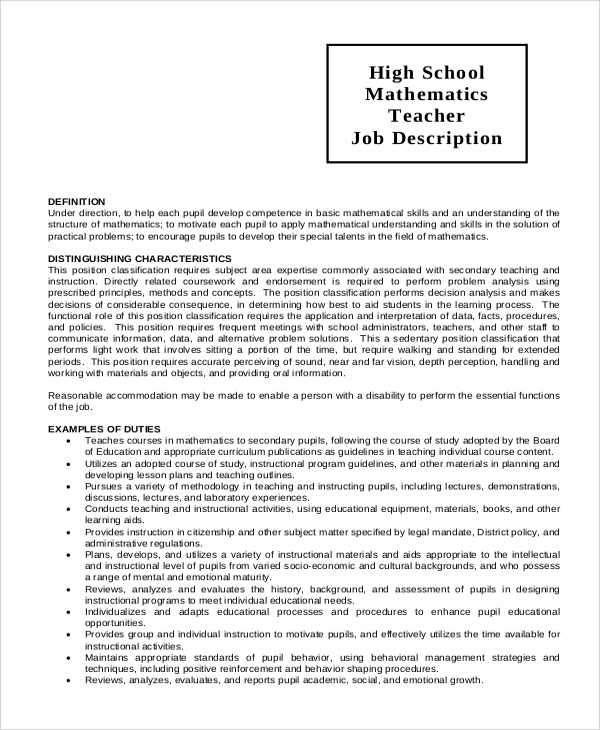 How can you tailor a Teacher Job Description? Since the requirement is different for particular schools, you need to focus on your principles while writing the Job Description. For instance, if you want to focus more on practical-oriented classes, you need to mention it in the document, so that only the able candidates apply for the post. Similarly, you can include other abilities like taking audio-visual classes, interacting with the students, teaching them practical values related to the subject and so on. You can write other essential values like collaborating with other staff and teachers, planning and executing academic programs and take a note of the weak areas of the students. 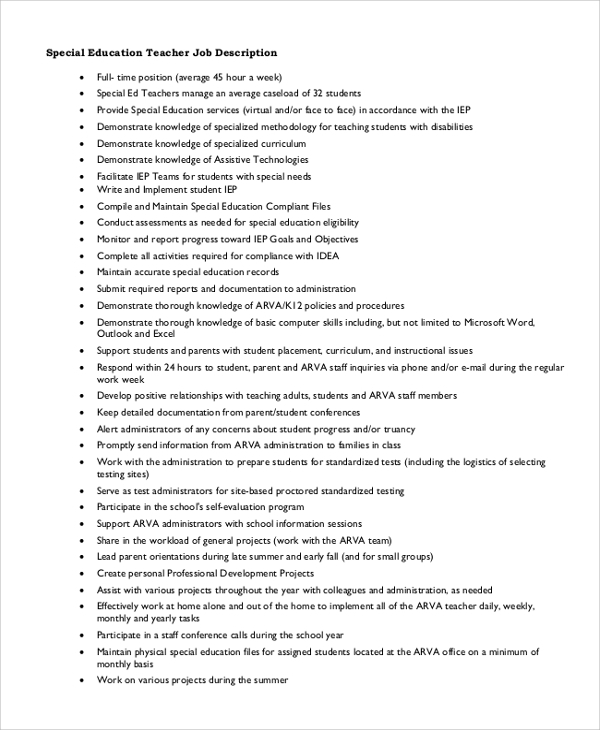 Appointing a teacher to your institution is a complicated task, and unless you format a winning job description, you will not find the right candidate. 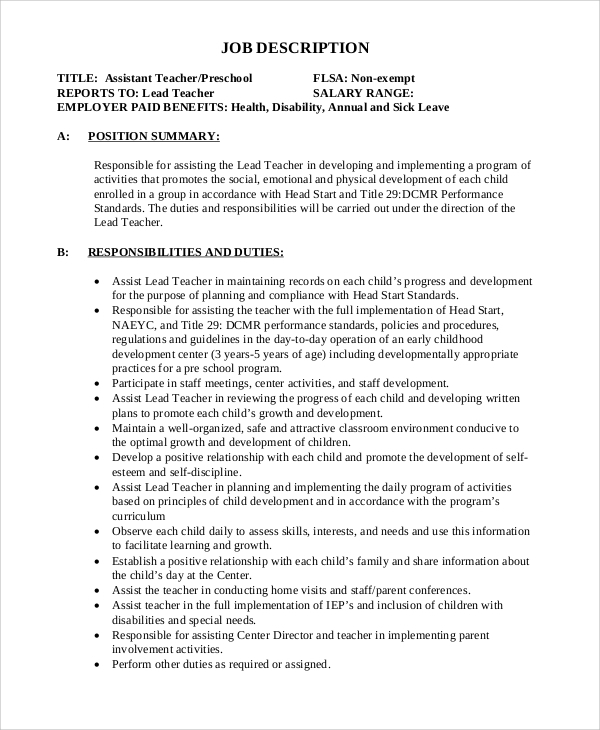 So, when you plan to recruit new teachers, go through the sample documents on the website. 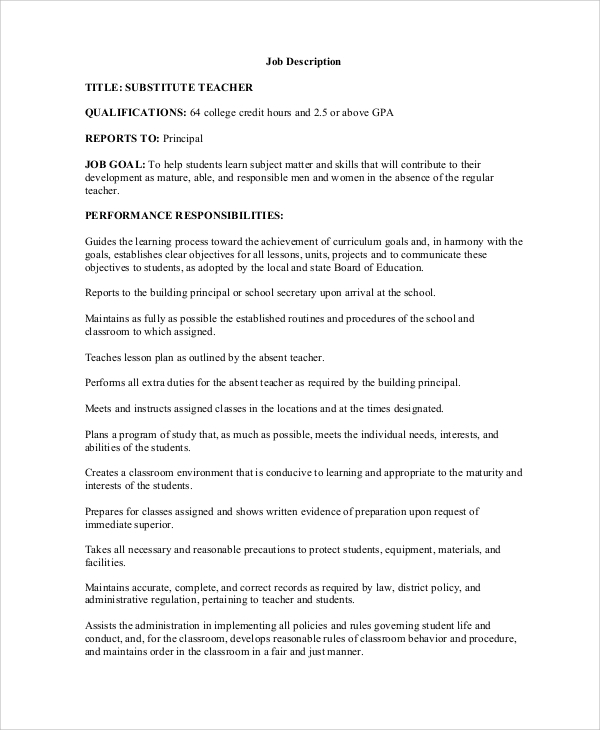 If you are a teacher, you may need Teacher Cover Letters and Teacher Resumes, presented on the website.